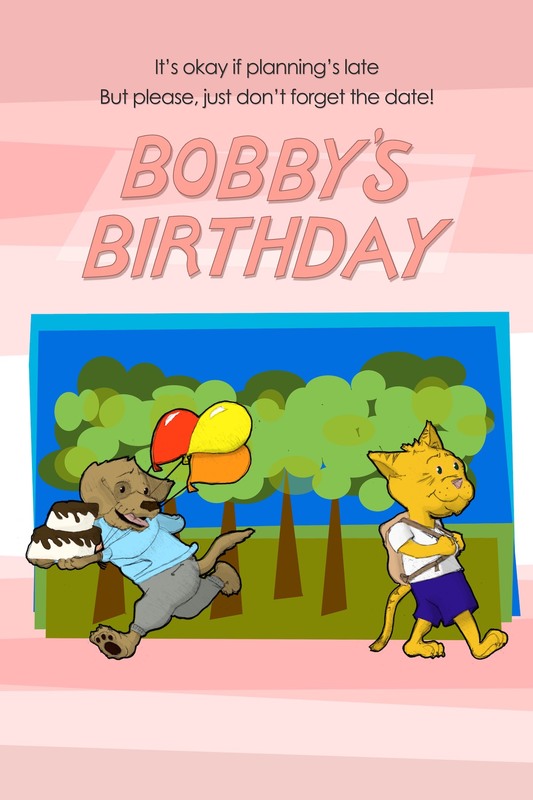 One morning after Bobby (a cat) leaves to study with their friends at the library, their roommate Percy (a dog) remembers that it’s Bobby’s birthday! Follow Percy as he runs around town, preparing the best last-minute party he possibly can. Bobby’s Birthday is presented in an art gallery as a series of animated dioramas. As you move from one scene to the next, you’ll be able to read along with the story of Percy’s shenanigans. If you prefer to listen to a pre-recorded narration, please bring headphones and a device that can connect to the internet (like a phone or tablet). We estimate that it will take you about 10 minutes to experience this attraction, though you are welcome to stay longer if you like! No RSVP or tickets required. Suggested donation: $10 per person. Wheelchair accessible. Families welcome!